Secure Digital or SD card is flash memory card that is widely used in digital cameras, Smart Phones, camcorders etc. It often used in removal device like pen drive USB drive for storing important documents. Where we enjoy the convenience of SD card we often suffer the data loss issues with it. Data loss is common problem that people are facing nowadays. If your SD card is damaged or corrupted then data loss issue will occur that can cause lots of trouble. The moment you realize that you have accidentally deleted the important files or documents or formatted the memory card are the most heartbreaking moments. We remain blank because we don’t have any way to get them back. But, now with the help of SD Card Recovery Tool, it has become quite possible to restore lost data from SD card in easy way. So, learn below to know what you can do to recover deleted data from SD card. 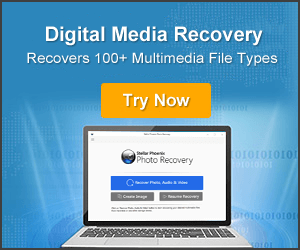 Photo Recovery is one of the suitable and appropriate SD Card Data Recovery Software which is designed to recover deleted, lost, missing, disappeared, erased photos, videos and audio files from SD cards. 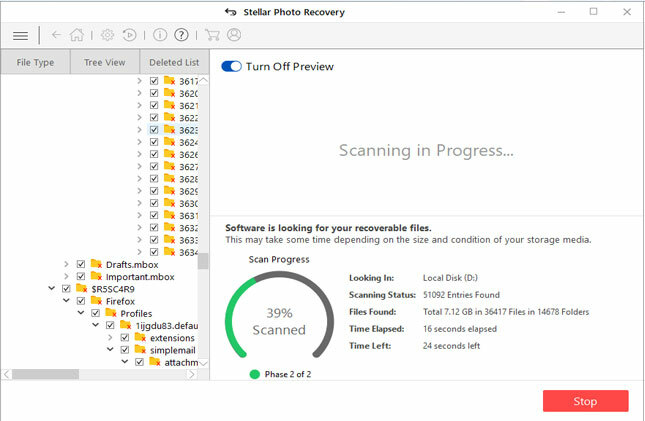 This SD Card Recovery Software performs deep scanning and recovers every recoverable digital media stored in it. It takes only a few steps to retrieve deleted data from SD card because the data on card are usually not fully deleted. Only make sure that you don’t add any new file to the same memory card until it is recovered. The overwritten files are unrecoverable. It is an easy to use interface that doesn’t require any technical person to operate it and hence you can now recover deleted SD card data by yourself. 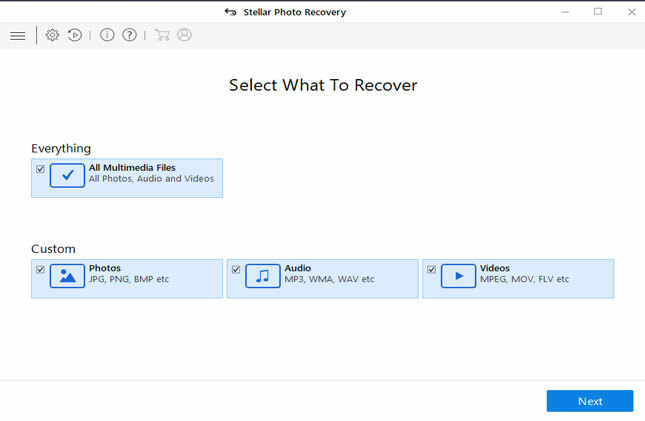 Recover deleted, lost, erased, disappeared photos, videos and audio files from SD card with ease. Retrieve files from formatted, virus infected, damaged, corrupted, dead SD card. Extract files from SD card used in Android phones/tablet, digital camera/camcorder, mobile devices, mp3 player, etc. Support various types of memory cards including SD card, miniSD, microSD, SDHC, SDXC, MMC, TF, CF, Eye-fi card, memory stick, etc. Support SD card manufactured by various brands such as SanDisk, Transcend, Lexar, Strontium, Verbatim, HP, Toshiba, Kingston, Apacer, Samsung, Sony, etc. Preview recoverable files within software before you proceed to save them on computer. Read-only program, 100% safe & clean and easy to use. Imagine a scenario where while using your device you accidentally formatted SD card or your card have corrupted somehow. For example just take one real practical scenario of user! Accidentally formatted my SD Card- How to recover? So, In a hurry, I stupidly formatted an SD card and thus lost a crucial video file. Been looking up ways to recover videos, and have tried a few, not many to any degree of workable avail. Anyone had a similar problem and found a workable solution? Thanks a lot. Recovering pictures of SD card after formatting? My sister was messing around with my camera (it’s a Canon PowerShot SD960 if that helps?) and I’m pretty sure she accidentally formatted the SD card through the camera’s settings menu thinking she was editing the pictures. Now the camera says the SD card is empty and all the photos are lost. I’ve tried 5 different data recovery programs (Remo, EaseUS, Paretologic Data Recovery Pro) and nothing works — they all take about an hour to scan the card, and then come up empty other than a few test pictures i stuck on it. Is there anything else I can do? There were a lot of pictures on the card that I lost. Similarly, there are various users out there encountering with SD card data loss. Let us know – what are some common causes that lead to the loss of files from SD card? Using the same card on multiple gadgets. Connecting the card to virus infected PC or Mac. Interruptions while transferring files from SD card to PC. Capturing images from camera even when your device displays warning messages “battery low” or “memory is full”. Other causes are card corruption, damage, file system corruption and so on. So, in such situation what you should do then? The card may contain some of your memorable moments with your loved ones in form of photos or videos, it may even have your favorite track and several other things that you may heartily regret if you don’t get it back. These situations are quite horrifying and that’s why people need to understand the fact that this can happen anytime with them. But the question here is – can these issues be resolved or is it a kind of problem that has no cure of it. Is it possible to recover deleted or lost data from SD card? Well, find the answer below! Is it Possible To Retrieve Deleted Data From SD Card? The short answer is “Yes”, it is possible to recover deleted data from SD card with the help of appropriate SD card data recovery tool. But you have to take care of few things. The first thing you should do is to stop using your SD memory card and do not add any new data on it as and when you find that your data is lost or deleted on your card. It is because adding new data to the card and continues using it then the possibility to recover the files you have lost will become less. Alright, so now let us know about best SD card recovery software! How can I recover data from Micro SD card? 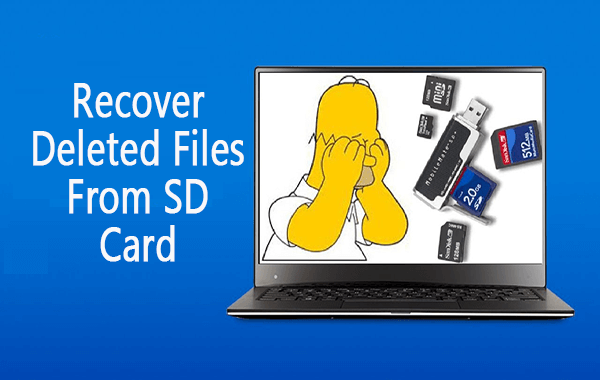 Can you recover pictures from a corrupted SD card? How can I recover my data from memory card? In the absence of backup files or if you do not have backup of your deleted memory card data then you use the same photo recovery software (mentioned above) that is also known as memory card recovery software. 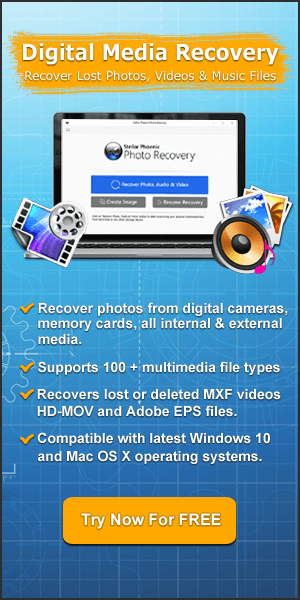 Note, this will only help you to recover pictures, videos and audio files formats. Can you recover data from a formatted SD card? 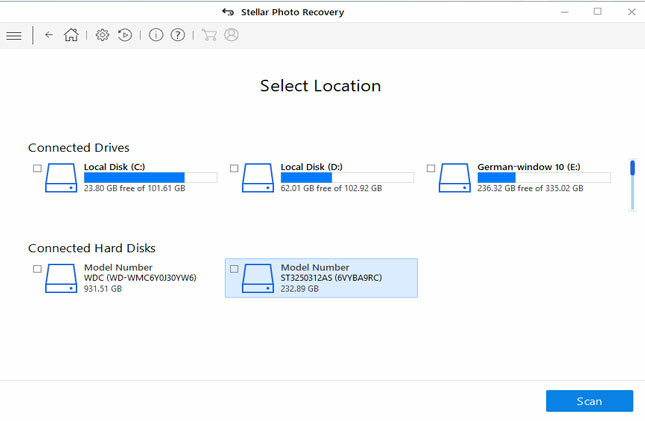 Yes, you can easily recover data from formatted SD card by using SD card recovery software. The only thing you have to take care is that you must not add any new data on the formatted SD card and immediately apply the SD card recovery tool before it becomes too late. To take care of your SD card you have to apply some precautions, there are many tricks and tips are available that will help you to protect your SD card from corruption and other types of damaging. 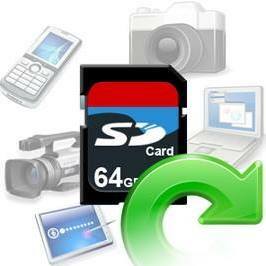 Some tips to protect SD card from corruption are given apply them and protect precious SD card data. Always use a strong antivirus program: If you want to transfer or copy the SD card data on any computer system then check for virus before connecting. If the computer is infected with virus or don’t have any antivirus tool then don’t connect your memory card with that computer. Always install any updated and strong antivirus program in your computer system. If your computer has an antivirus tool then it is not enough because updating on regular basis is required to avoid virus attack. Remove SD card Safely: Safely removal of memory card is also necessary to avoid corruption and damaging. Impolitely removal of memory card from computer system and other devices like mobile phone, tablets etc can harm your SD card and make it inaccessible. So use safely removal option and defend SD card from inaccessibility. Don’t use in Low battery: Low battery can harm your SD card, if your camera or any other device display low battery warning but you ignoring it and clicking images or doing memory card related task then it affect the memory inserted SD card in that device. It happens because device gets unable to execute task completely due to lack of power and incomplete task make memory card inaccessible. These given three tips will help you to avoid SD card corruption and save memory card from harm, so apply them and make your SD card data completely secure. How to Keep Your Memory Card Healthy? After reading the complete post I hope you have learned many things about SD Card such as how to recover deleted data from SD card and other possible scenarios, causes and more. I hope the above solution will definitely help you get back deleted files from SD card with ease. All you need is to perform the steps mentioned in the above section and you will be able to recover deleted SD card data with ease. So….All the very best to you!!!! 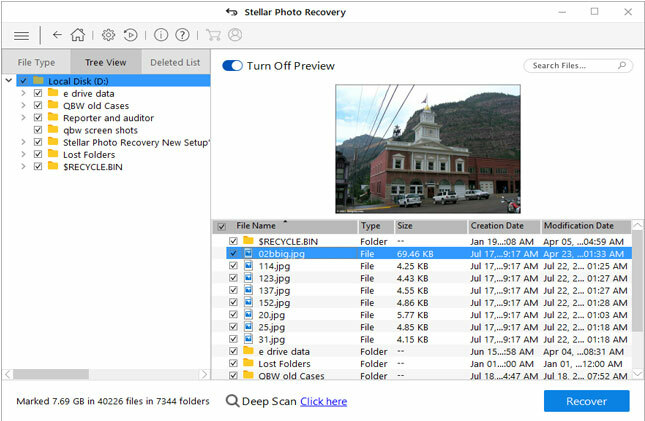 Recover deleted SD card data in just a few easy steps with SD Card Data Recovery tool. Don’t miss this easy way to retrieve deleted data from SD card.